Winner of the Palme d’Or at Cannes 2015, Dheepan is the latest from French author Jacques Audiard director of much admired A Phophet and Rust and Bone. 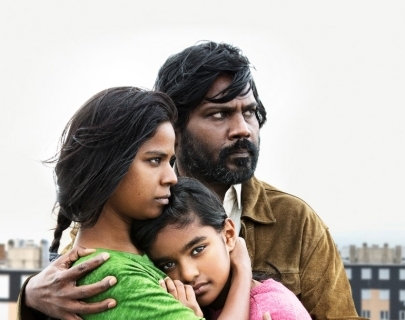 It tells the story of Dheepan, a Tamil Tiger from Sri Lanka who, posing as a family with a woman and a little girl, flees to France. There he works hard to rebuild a new family life and home, yet nevertheless finds an inescapable violence surround him.